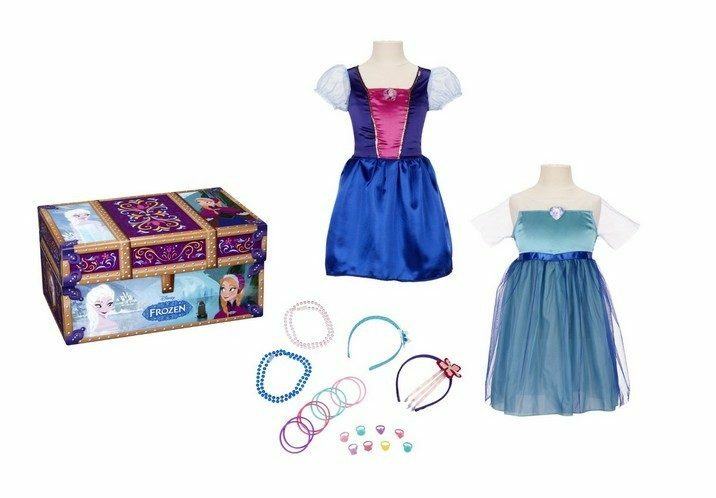 Disney Frozen Dress-Up Costumes, Jewelry & Trunk Only $22 + FREE Prime Shipping (Reg. $25)! You are here: Home / Great Deals / Amazon Deals / Disney Frozen Dress-Up Costumes, Jewelry & Trunk Only $22 + FREE Prime Shipping (Reg. $25)! Great news for all of you looking for Disney Frozen deals! There has been a price cut on this super cute Disney Frozen Dress-Up Costumes, Jewelry & Trunk, now marked down to only $22 (Reg. $25)!